Hong Kong has grown vertically over the years. The skyline of the city is dotted with sky scrappers that shimmer and glimmer at night, like jewels strewn by a careless child. Neither Ankur nor I are particularly fond of big cities and bright lights. 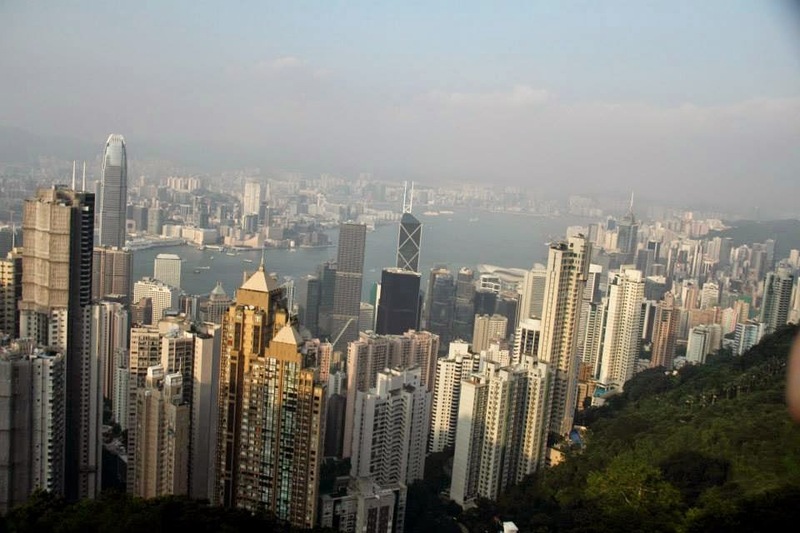 However, Hong Kong has a unique charm… glitz and glamour, mixed with some local culture and a lot of expat influences. There was a compelling desire to want to see this modern city from a distance and appreciate its jewels. Here are two places that let us admire the high rises of Hong Kong: Tsim sha Tsui and Victoria’s Peak. Fancy bright lights and high rises? Tsim Sha Tsui is the place for you! Located at the tip of the Kowloon peninsula, this is the place to shop, grab a bite and amble at an easy place along with the locals and the tourists. While you can take a taxi or the metro to get here, I preferred hopping on to a ferry connecting Hong Kong island to Kowloon – fast, efficient and cheap. Tsim sha Tsui in itself is a bustling urban district….it’s the views of the Hong Kong island that give the place the ‘wow’ factor. 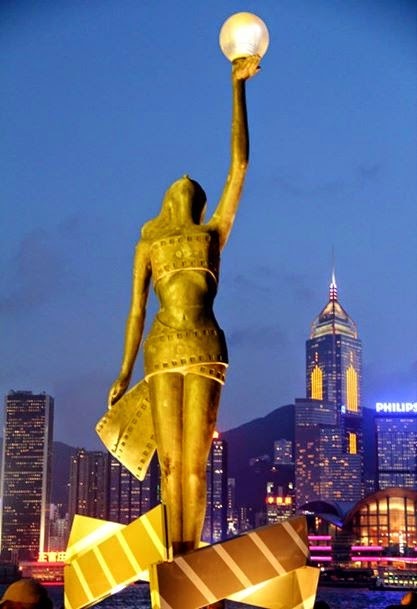 The best views are from the Avenue of Stars, along the Tsim Sha Tsui promenade, which is so called as it has ‘hand prints’ from film stars to honour the Hong Kong film industry. This is also the perfect spot to witness the ‘Symphony of Lights’, the sound and light show, which involves more than 40 buildings on both sides of the harbour (Hong Kong and Kowloon). The show is held at 8 pm everyday – spare the days when a cyclone is expected. This is the world’s largest permanent light and sound show’ by Guinness World Records. Coloured lights, laser beams and searchlights dance synchronously with the music – interesting! 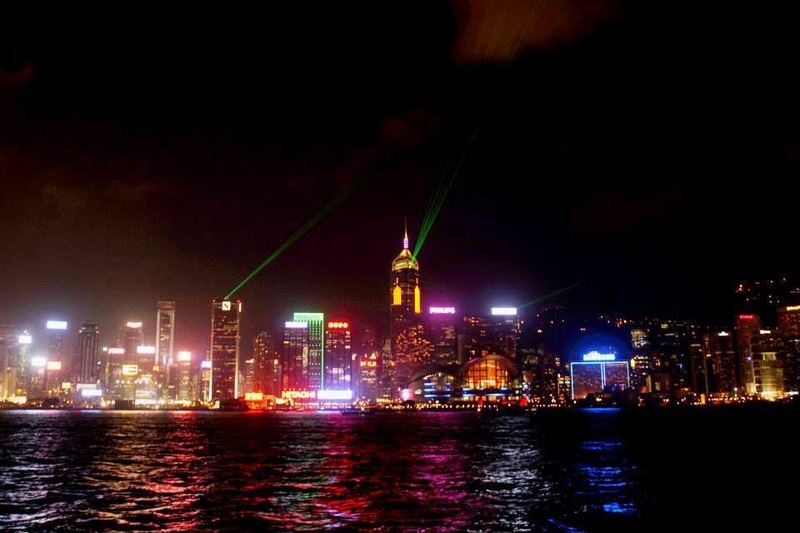 Any and every tourist visiting Hong Kong would be tempted to witness the show at least once… I went to see it twice. The old Clock Tower (South end of the Tsim Sha Tsui promenade) was erected in 1915 as part of the Kowloon–Canton Railway terminus. The 44 meters high structure continues to stand tall, even though the railway terminus no longer exists. There really isn’t much to be excited about this place – it is just a clock tower! The exciting part is the vibe around it – couples walking hand in hand. kids scampering in the park, tourists clicking pictures in every possible angle – it was so much fun to watch! 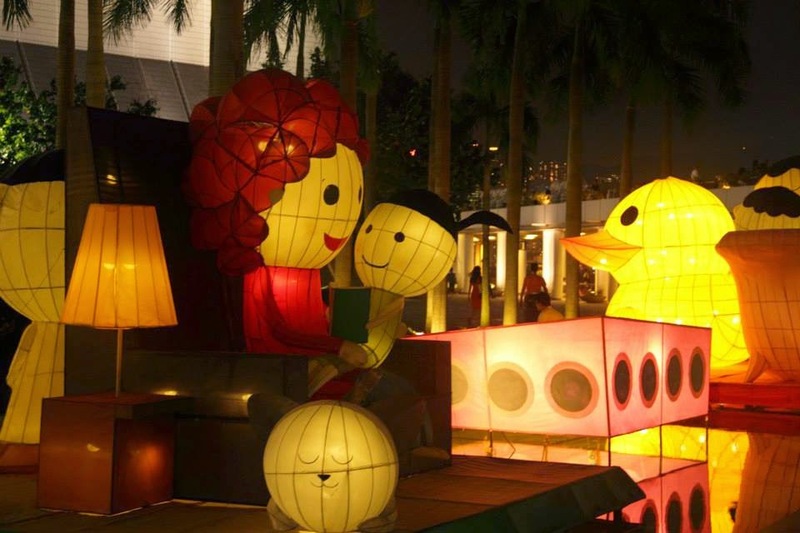 When we were there, large lanterns in various shapes – ducks, kids, teapots lit up the park – we have never seen such huge lanterns and let the shutterbug in us go wild! As I always say, more than inanimate objects, it is people who make the place memorable. As I walked along the promenade, waiting for Ankur, I struck a conversation with a young girl from Mainland China. Considering that China has had a one couple one child policy for a while, she spent the next 20 minutes asking me …how does it feel to have more than one kid in a family…or to have siblings? Being the only child myself, I couldn’t be of much help, but it sure was amongst the most interesting conversations I have ever had … a new perspective on things that we take for granted…in broken English! Do you keep wondering what Hong Kong looks like to a bird in flight? Don’t keep wondering – board the tram to Victoria’s Peak and get a bird’s eye view of the Victoria Harbour, high rises and ships and ferries that dot the waters. 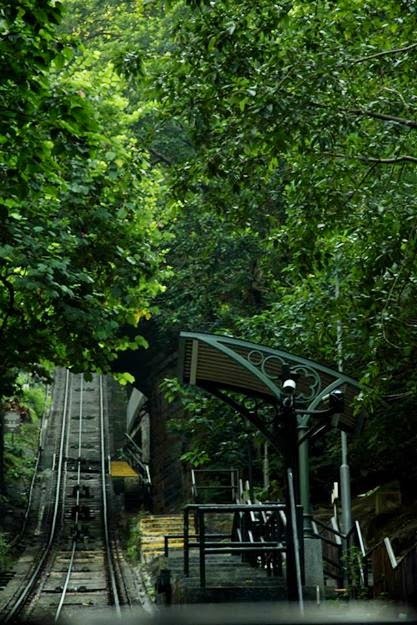 While the Victoria’s Peak is an attraction, getting there using the tram is a bigger attraction. Alight the tram at the base and ensure that you manage a window seat to enjoy the views. As the tram chugs over at in incline of 27 degrees (at the steepest point), you feel that you are absolutely vertical and the buildings to your right and left are at an angle to the horizontal plane, putting the Leaning Tower of Pisa to shame….what an illusion! 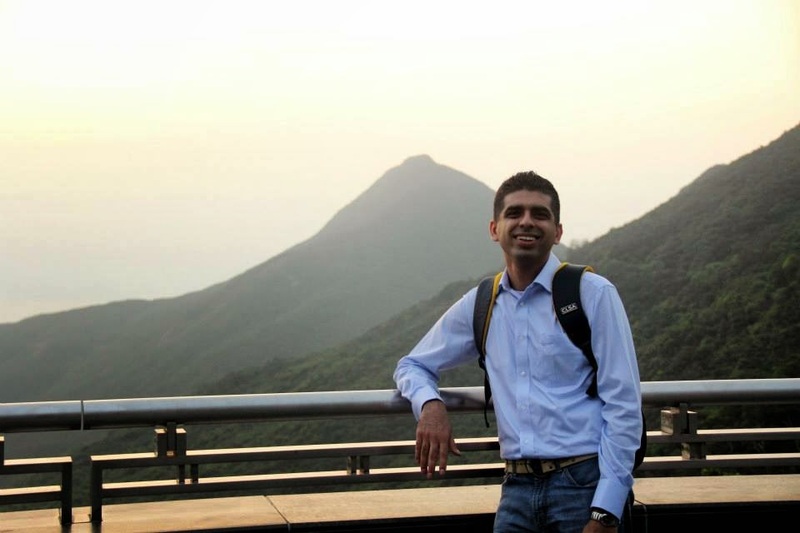 On top of the Peak, there are a few restaurants, a couple of coffee shops, a shopping complex, children’s play area and an observation deck to get a 360 degrees view from an altitude of approximately 550 meters. There are also a few well marked walking trails if you want to exercise a little. How much time you wish to spend at the Peak is really your choice – you can spend a few hours exploring the trails, followed by dinner, watching the sunset and the city lights light up…or just an hour or so with a cup of coffee. The Peak is also a good stop to watch the Symphony of Lights – you would just need to tune into the radio frequency for the narration. We sipped some coffee as we enjoyed the views over the Victoria Harbour – it was a fairly clear day and there wasn’t much smog to mar the views. 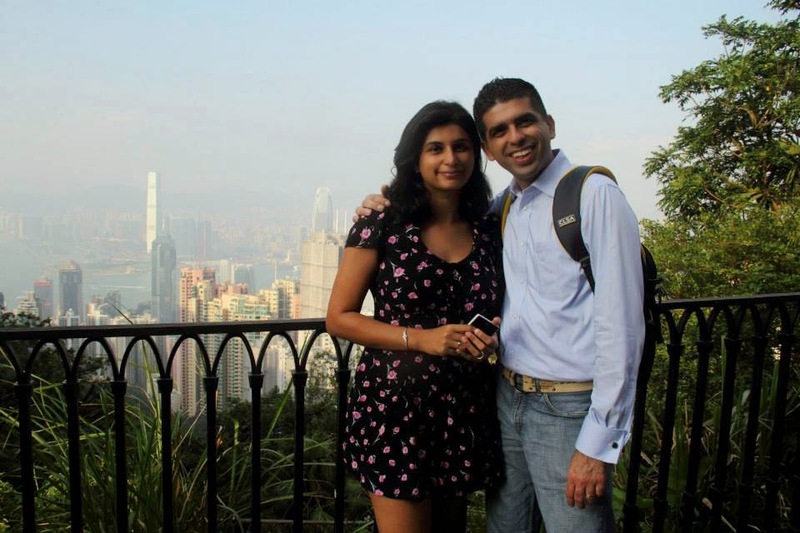 We enjoyed watching the sunset from the Peak while we were perched on a wall….peace and quiet…which we weren’t really expecting looking at the number of tourists that were boarding the tram. While there are lots of points to watch the Symphony of Lights, suggest being close to the observation points at the Tsim Sha Tsui promenade on the Kowloon side or Golden Bauhinia Square at the Hong Kong side, where speakers are placed to listen to the narration and music. I have never been to appreciate any light show if the sound component is absent! You can also listen to the music and narration by tuning to FM 103.4 MHz (English) of by dialing 35-665-665 (English) from your mobile. There is an observation deck on the Tsim Sha Tsui promenade which offers an elevated seating platform to enjoy the show…or to simply enjoy the sky line. If you want a place to sit here, suggest reaching at least by 7 pm. You can buy a drink here and sip on it while enjoying the evening breeze. There is also an option of taking a dinner cruise to watch the Symphony of Lights – a pricer option. Recommend using the Octopus card to buy the tickets to the Victoria’s Peak. However, this does not include admission to the 360 degrees observation deck, which we chose to miss. The line to buy tram tickets is maddening on weekends, especially in the evening as a lot of tourists and locals want to watch the light up city from the peak. Suggest getting to the top late in the afternoon/ early evening to beat the crowds. You can descend using the tram or a bus – your choice. The starting point of the tram also has a wax museum… you may want to explore it. The ticket price for the museum needs to be bought separately and is not included in the tram ticket fare.